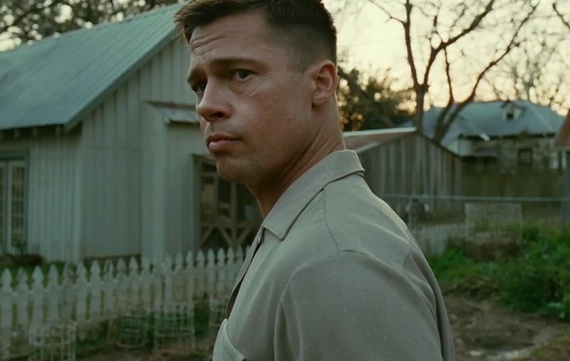 I’ve been racking my brain over Terence Malick’s The Tree of Life. Not because I couldn’t comprehend the basic plot and demanded a refund. Instead, I’ve been trying to find a suitable response to my friends and to critics who’ve leveled some justifiable concerns against the film. One friend was infuriated with the film’s depiction of women, describing Jessica Chastain’s maternal figure as a character who did little more than prance around the yard and care for her children. Another friend found the staging of Sean Penn’s struggles with his upbringing little more than a “vulgar” reading of Freud’s psychoanalytic work. These buddies also hated the dinosaurs, but I’d rather focus on these particular concerns and tease out why I still like (but don’t love unconditionally) The Tree of Life. 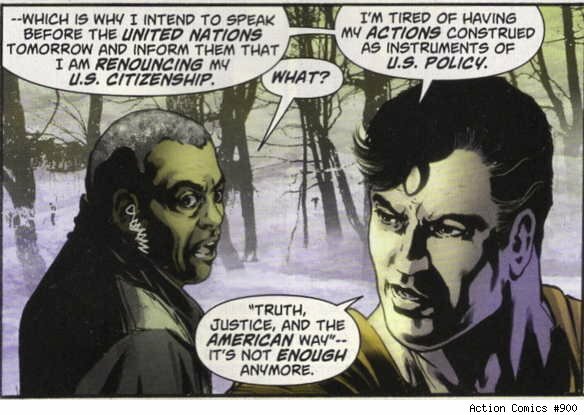 Superman replies that it was foolish to think that his actions would not reflect politically on the American government, and that he therefore plans to renounce his American citizenship at the United Nations the next day — and to continue working as a superhero from a more global than national perspective. The timing of this moment could not amuse me more (it also, consciously or not, critiques another current Superman story that began with the character walking around the country and aligning himself with crude, absurd caricatures real American folks from the flyover states). I’m sure smarter people than I will justify President Obama’s decision to engage so directly with the birthers, but it is also a little depressing to see a comic book so handily make contemporary political discourse look so cartoonish. While the world at large (and Warner Brothers) will surely regard Superman as a cultural icon (and a brand) firmly aligned with American iconography and ideals, it’s great to see Goyer and the Superman team wrestling with questions of national identity.